Are you Worried about the Rules and Restrictions in 55+ Communities? Many 55+ seniors are a bit reluctant to move to planned active adult communities because they are wary of all the rules and restriction of Homeowners Association. Plus, there are those age-related concerns to deal with too. Many seniors think planned 55+ communities are overly restrictive. Others feel there are plus sides to all these rules and restrictions. Are you a prospective homebuyer, toying with the idea of living in a resort style community? Are you being held back by all these rules and restrictions? Don’t worry. You will not have to surrender your freedom and conform to a set way of life. You will not have to concern yourself with Homeowners Association always looking for your faults and making it difficult for you to live in your community. Ok, so, there are rules to living in any planned community. However, these rules are fairly reasonable. These rules actually make the community better. They are there to prevent neighborhood disputes and also to protect your rights as a resident. Community rules and restrictions vary depending on the 55+ communities. However, these rules are implemented to maintain the value of the properties. For example, you may be expected to look after your yard and the exterior of your home. When a community is looked after well, the property values go up. This is a plus point to you too, if you ever wish to sell your property. In addition, there are certain restrictions on dramatic changes to the exterior of your homes. These cannot be done without prior approval of the committee. This is to ensure the neighbors do not get upset and also to keep potential buyers from fleeing in fear! Without these rules and restrictions, you may find rusted cars on the blocks or in the owner’s front yards. You may also have to suffer through loud music if your neighbor is having a party. So, as you can see, as these rules apply to everyone, you are assured of a clean neighborhood and peace and quiet and it works the other way too. Your neighbors are ensured of peace and quiet and pleasant environment because of these rules. Rules of living in a 55+ community differ from every other community. All are not the same. You should always consider the rules and restrictions of the community before you purchase your home in a planned community. 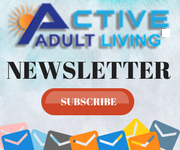 This post is by ActiveAdultLiving.com®, the number one website for all your senior living community information.